For Analysis, Reporting and Dashboards on Smart Meters, with scenarios based on source utility companies, detailed meter reading analysis and customer usage see our latest demo – it’s Smart! A Smart Meter is an “intelligent” digital meter at the energy customers’ premises which records consumption/generation of energy and automatically feeds back that information to the energy supplier for monitoring/billing purposes. This communication is a two way process and the meter can be turned off remotely if required. A Smart electricity meter can be configured to register other commodity meters like gas or even water. The electricity meter communicates by means of a modem. The creation of all this digital intelligence and the automation of data transference means that for all the beneficiaries of Smart metering there has to be a Smart way of crunching, analysing and presenting this data in a format that actually delivers actionable information. 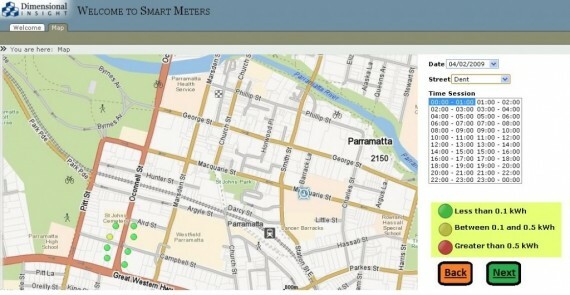 This is where the Diver Smart Meter application steps in. Diver will crunch all the incoming data, transform it into meaningful information and present it in such a way that each user will be able to make use of it according to their individual focus to facilitate better decisions on how to make and save money while increasing energy consumption awareness, optimising energy use and minimising carbon emissions. A business consumer/generator wants to compare energy costs/payments from different energy suppliers at different times of day to decide upon the best package relating to their own energy consumption/generation. An energy supplier wants to pinpoint hotspots of energy usage at different times of day to better manage supply distribution. An energy supplier wants to analyse power usage by customer/day/time to create new tariffs packages that encourage customers to use less power at peak periods. A domestic customer to view his/her energy usage and modify the energy usage behaviours to save money and energy and can become more energy aware. An energy supplier to identify fraudulent energy usage or abnormal energy patterns to detect and act upon such situations in a timely fashion to counteract as an example – illegal drug growing. All these scenarios are available in a Diver web based secure portal that allows each type of user to investigate and act upon data that is relevant and meaningful to them. For further information or a demo please contact us.